Walmart has the Gone Fishin' Game on sale for just $4.97, down from $14.99. Ready to cast? A school of hungry fish is spinning around on a motorized game board. When a fish opens its mouth, drop your line and reel it in. 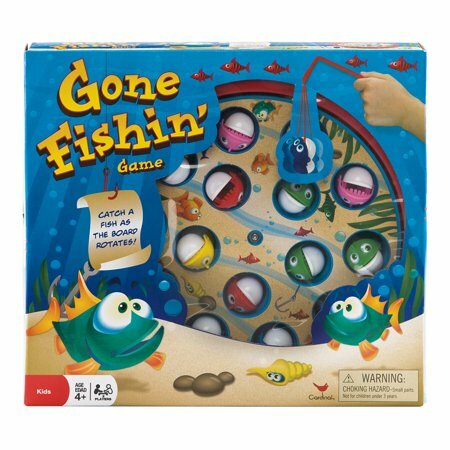 The player that catches the most fish wins.